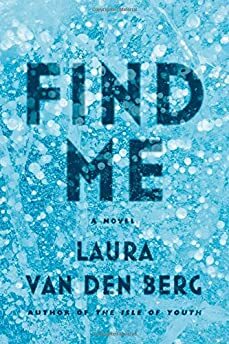 Largehearted Boy: Book Notes - Laura van den Berg "Find Me"
Book Notes - Laura van den Berg "Find Me"
Laura van den Berg's debut novel Find Me is a haunting dystopian tale of memory and identity that impresses with its beautiful and precise language. "Like Margaret Atwood's The Handmaid's Tale or Kazuo Ishiguro's Never Let Me Go, van den Berg's debut novel (after two successful story collections) presents a frighteningly plausible near-future dystopia grounded in human elements…Joy's quest, and her need to feel cared for, is heartbreakingly real and compellingly wrought. The book's ambiguous conclusion may lead to rereading as the possibility of multiple interpretations is opened. Highly recommended." If a short story is like taking a walk on a winding, mysterious wooded trail, writing a novel can alternately feel like you are racing through a field of tall technicolor grass and like you are crossing a vast, hot desert—limping, sunburned, diving into mirages of water only to emerge with mouthfuls of sand, feral dogs nipping at your heels. I found that it took a new level of sustained energy to write a novel, so with music I often looked to songs that would encourage me to keep walking even after desert fatigue set in. Energy was a big factor. My full list is even longer and more schizophrenic than the below, but these 10 were, at different stages in the process, among my most played. There's a trippy quality to this song that was great for certain scenes in Find Me, especially when the narrator, Joy, was moving toward an event of particular importance—an arrival or a departure. "Twins" has a momentous feeling to me. My husband is way hipper when it comes to music and he introduced me to Wild Nothing. I listened to "Paradise" a lot when I was writing the landscape scenes that appear in the second part of Find Me. Though the kinds of landscapes Joy encounters are usually anything but a paradise, they do often have a magical quality to them and I think this song has a bit of magic too. Beach House was one of several super excellent bands that I discovered while living in Baltimore, and "Norway" is one of my favorites of theirs. It strikes the right balance between dreamy and keeping me awake at the keyboard. This was often a song I listened to when I was settling in to work on my final edits. Pre-game music, if you will. M.I.A. 's transgressiveness is a rare thing with "mainstream" women artists and this song has fierce energy and sometimes I needed to feel a little fierce. Beautiful, lyric, haunting (like my favorite books! ), and builds in a really wonderful way. Highly recommended if you need to feel a dash of longing. This is one of those songs that I can just disappear into—I'm not exactly sure how to quantify or describe that feeling even, except to say that such songs help me forget the immediate world, which can be a very useful thing when I'm writing fiction. This was a song I listened to when I was a little stuck and needed to punch through to a particular kind of moment. It sounds hopeful to me and like if you listen to it enough you might just become unstoppable. I have a soft spot for "Bohemian Rhapsody" (who doesn't?) because I once tried to use it as my karaoke song, with awesomely disastrous results. In fact, I'm not sure I've done karaoke since. Also, sometimes I feel sort of adversarialy towards what I'm working on, especially when it's a long-term project. So, like, novel, you think you can stone me and spit in my eye? You think you can love me and leave me to die? Think again! How can you write a dystopian novel and not listen to "Beautiful World?" It's a wonderful time to be here/it's nice to be alive. OR IS IT? This is also a good energy song and I appreciate that it's a little dance-y because sometimes that is the only thing to do. That desert looking endless? Need to conjure a little steely determination? DMX can help you out with that.